Samkwok Workshop is back with a couple of new Iron Man mashup action figures! 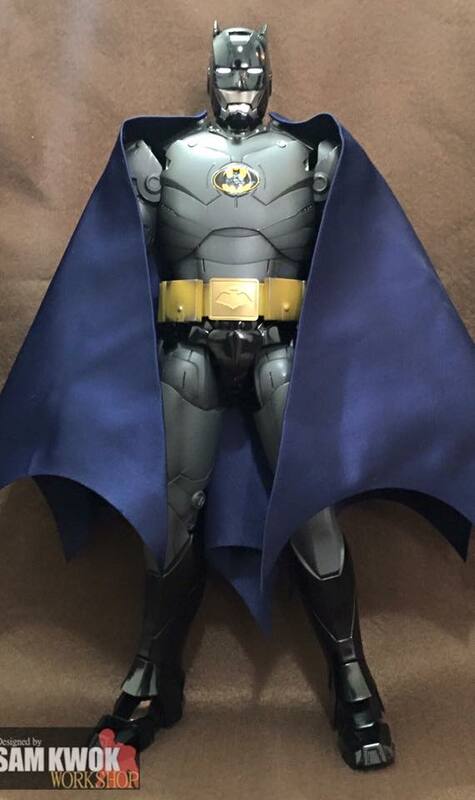 The first features a 1966-inspired version of Batman, which uses Hot Toys' Iron Man Mark III figure. 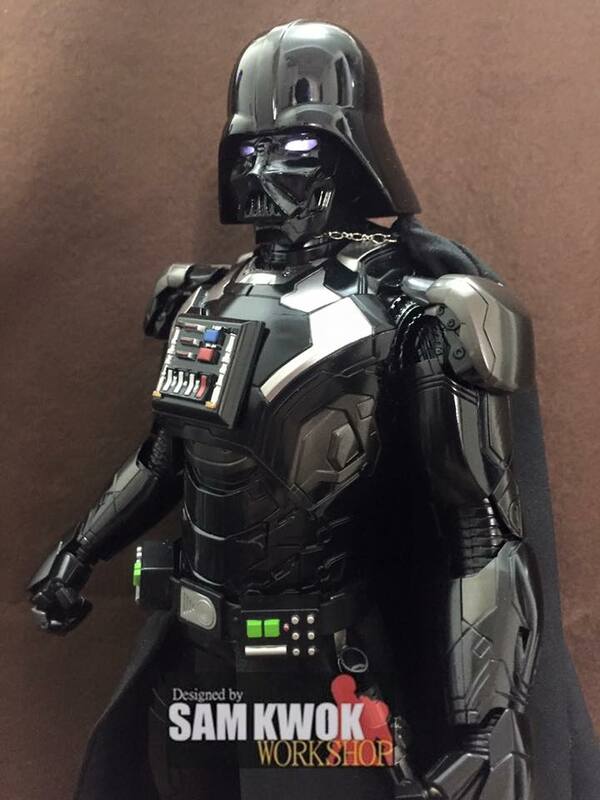 The second is of Darth Vader, which uses the Hot Toys Iron Man Mark 42 armor as the base. 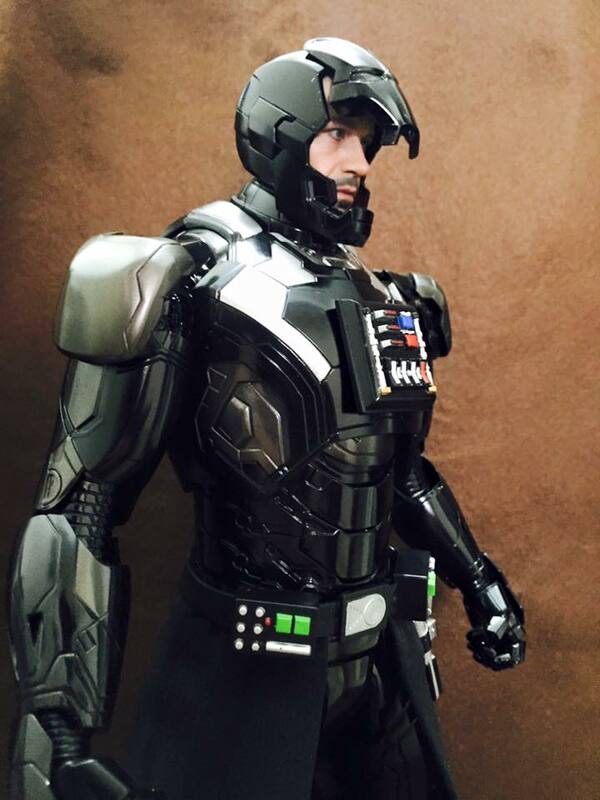 It’s pretty cool to see the level of craftsmanship and detail that this guy puts into his work. 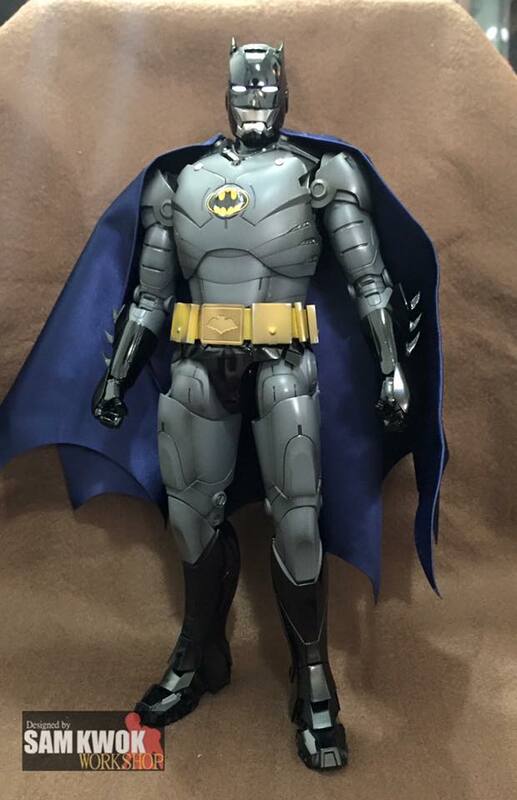 You can see some of the previous Iron Man mashup figures we’ve posted at the following links: Tron Iron Man; Iron Man Alien Xenomorph; Buzz Lightyear and Iron Man; Batman and Deadpool Iron Man figures; and The Joker and Iron Man Mashup Action Figure.